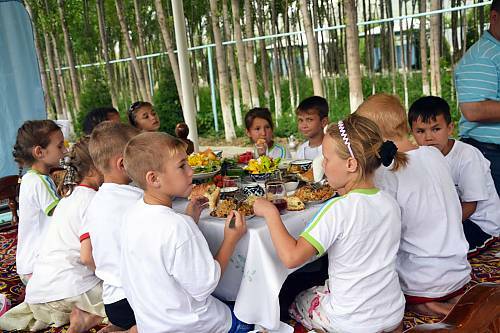 There is a saying in Uzbekistan that guests can only leave their host’s house after palov has been offered. 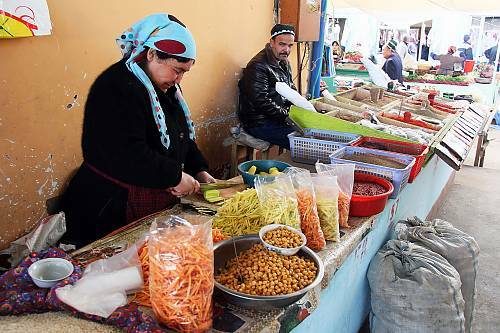 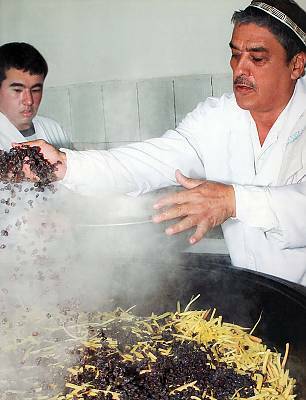 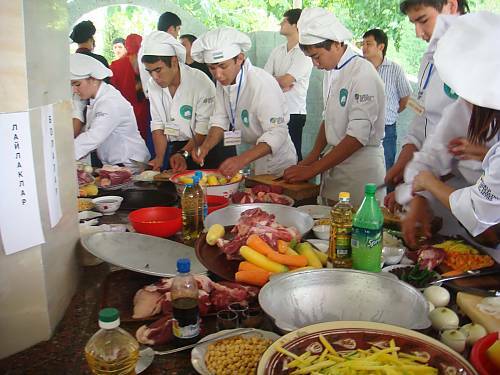 Palov is a traditional dish made and shared throughout rural and urban communities of Uzbekistan. 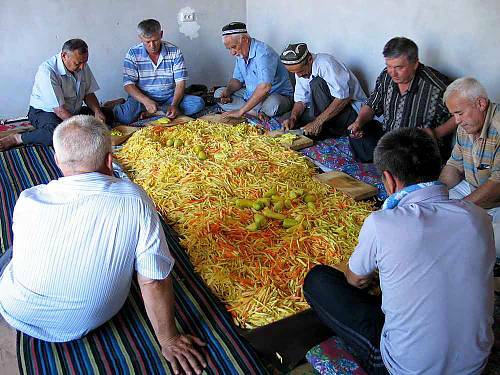 It is prepared with ingredients such as rice, meat, spices and vegetables and in addition to be enjoyed as a regular meal, is served as a gesture of hospitality, to celebrate special occasions like weddings and new year, to help those in need who are underprivileged, or to honour loved ones who have passed away. 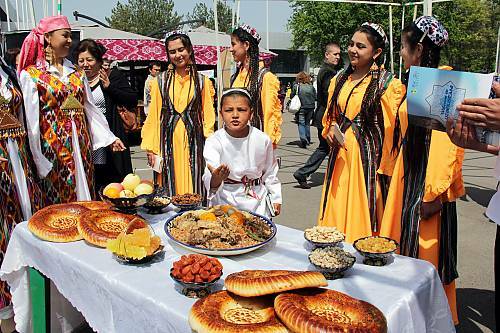 Palov may also feature at events alongside other rituals taking place such as prayer and performances of traditional music. 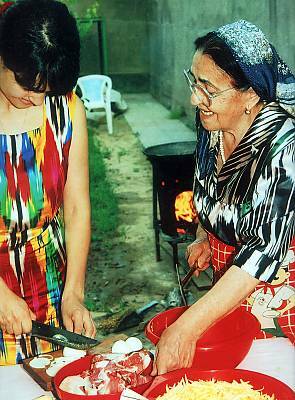 It is a dish that is cooked by men and women regardless of age or social status. 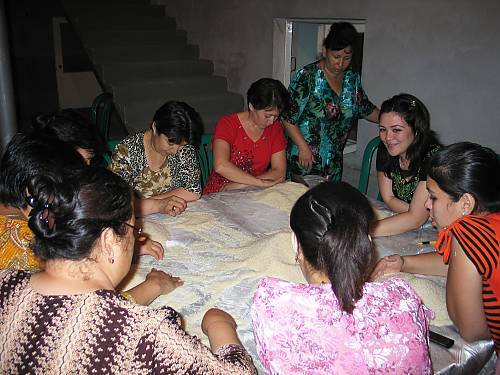 Knowledge and skills associated with the practice are handed down from older to younger generations formally and informally using a master-apprentice model or by demonstration and participation within families, peer groups, community-based establishments, religious organizations and vocational educational institutions. 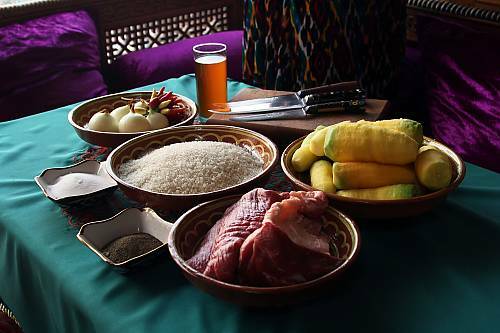 The making and sharing of the traditional dish acts to strengthen social ties, promote values including solidarity and unity and assist in the continuity of local traditions that form a part of the community’s cultural identity.